1. Sautee onion and garlic in olive oil and cook bacon separately. 3. In a small bowl, combine ranch, sour cream, and bacon. 4. 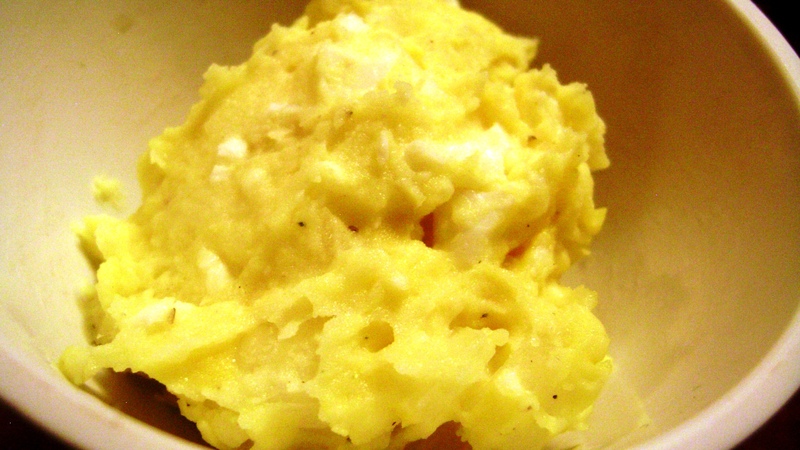 Turn off heat, stir in ranch mixture with potatoes. 5. Grease a loaf pan with cooking spray; you could also use an 8×8 inch pan. 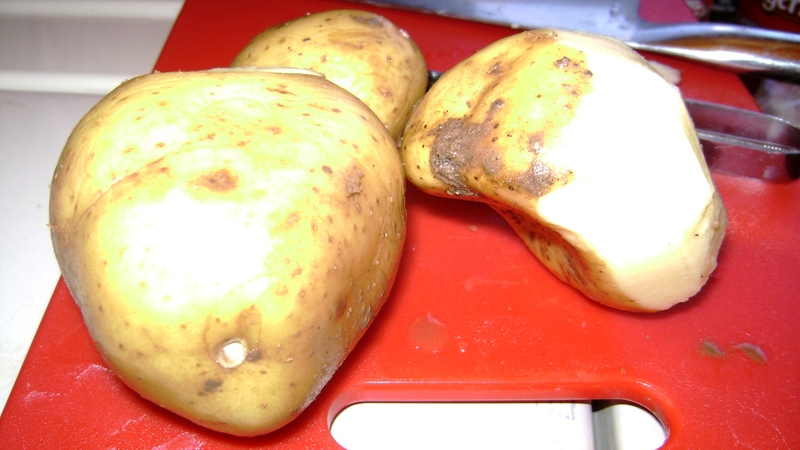 Dump potatoes in prepared pan. Sprinkle with cheddar cheese and top with green onions. 6. 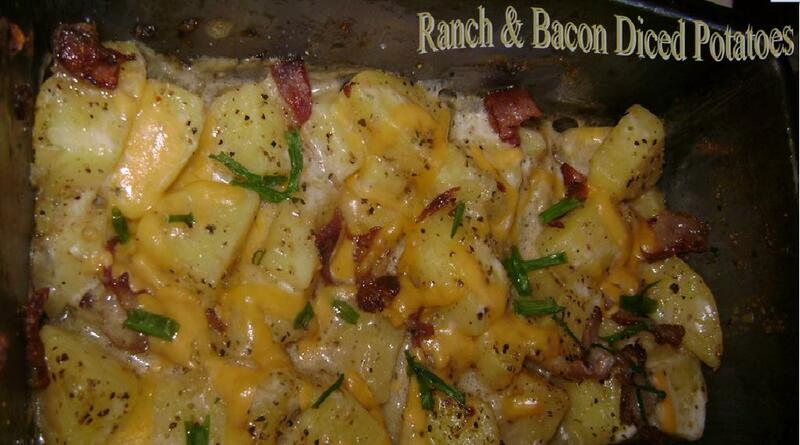 Cover with tin foil and bake at 350 degrees for 15-20 minutes, until potatoes are tender and cheese is melted.